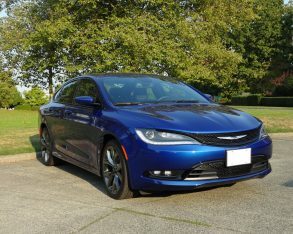 hit showrooms, beating out the Honda Accord, Toyota Camry and Ford Fusion that month. 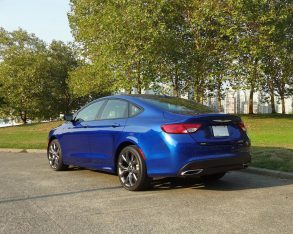 Continued strong sales the following month saw it hang onto third place behind only the Camry and Hyundai Sonata. 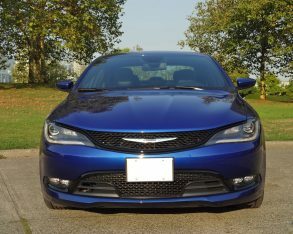 In the US the 200’s change of fortune hasn’t been quite so dramatic, but it has climbed several notches in the sales hierarchy, going from an also-ran to a top top-six contender. 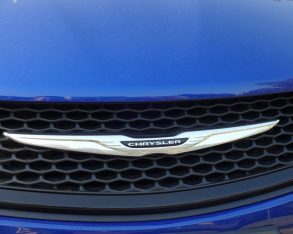 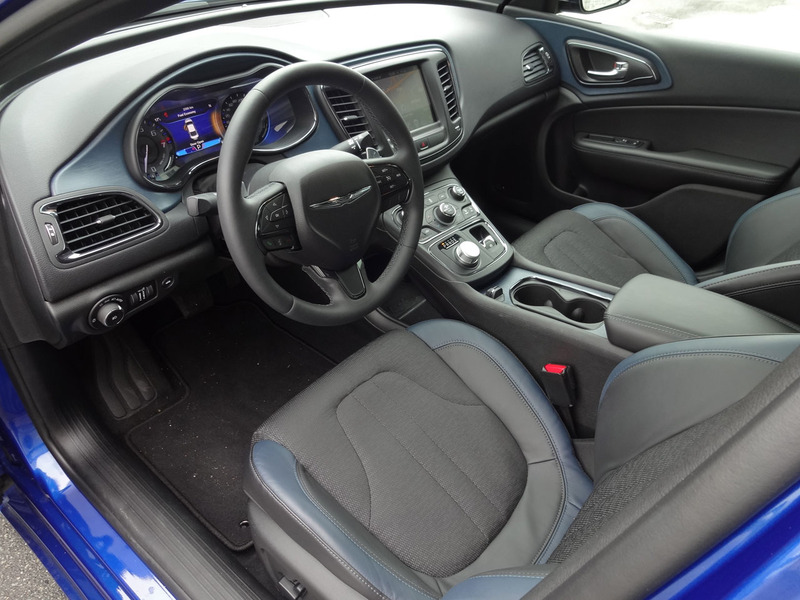 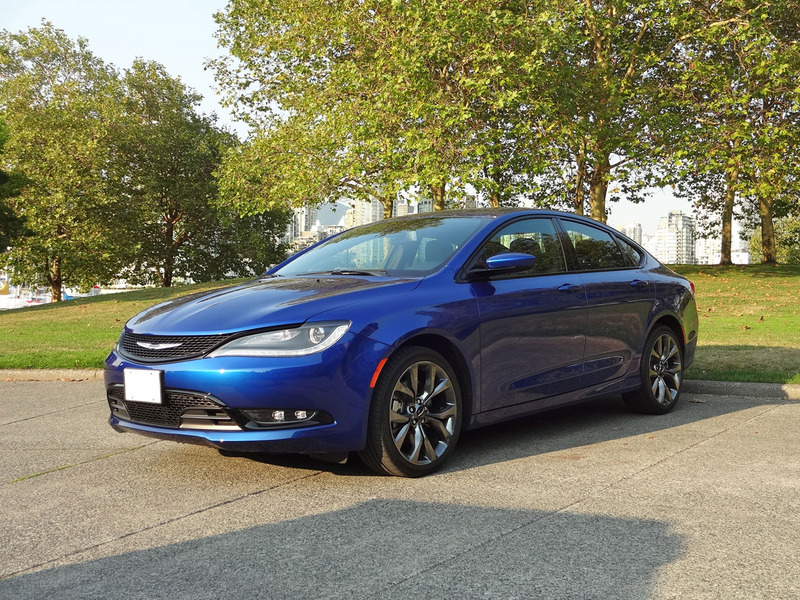 Part of the 200’s success certainly comes down to value: Chrysler advertises the 200 as the most affordable mid-size sedan in Canada, and with a starting price for the base 200 LX of $24,190 including the $1,695 destination fee (and only $21,190 including a $3,000 cash discount offered early in 2015) it’s certainly a lot of car for the money. 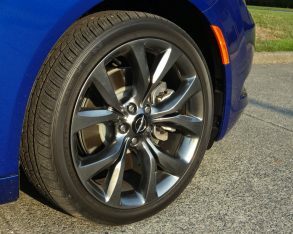 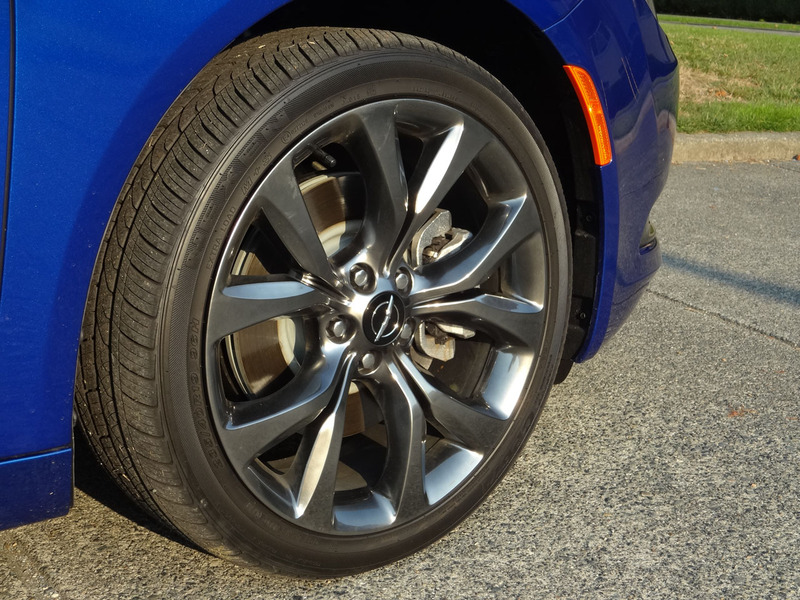 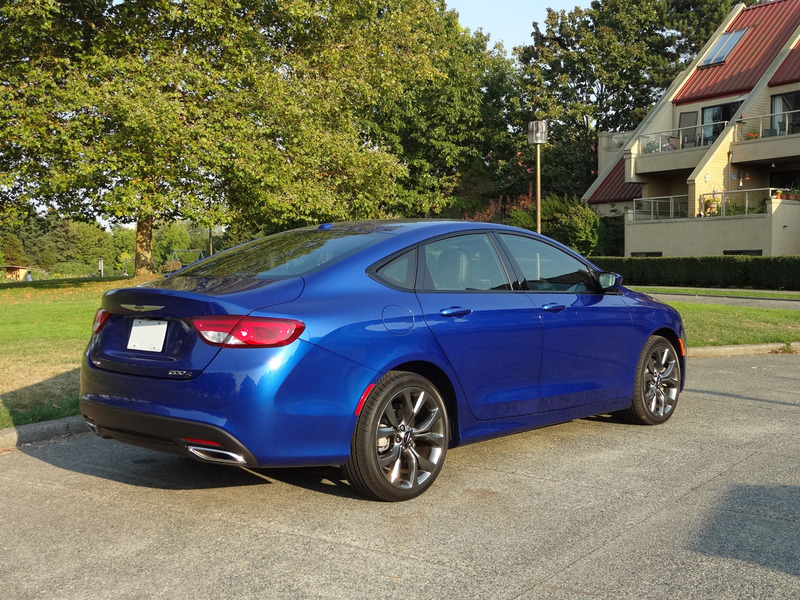 like the soul of a four-door coupe, especially when fitted out in my test car’s 200S AWD trim. 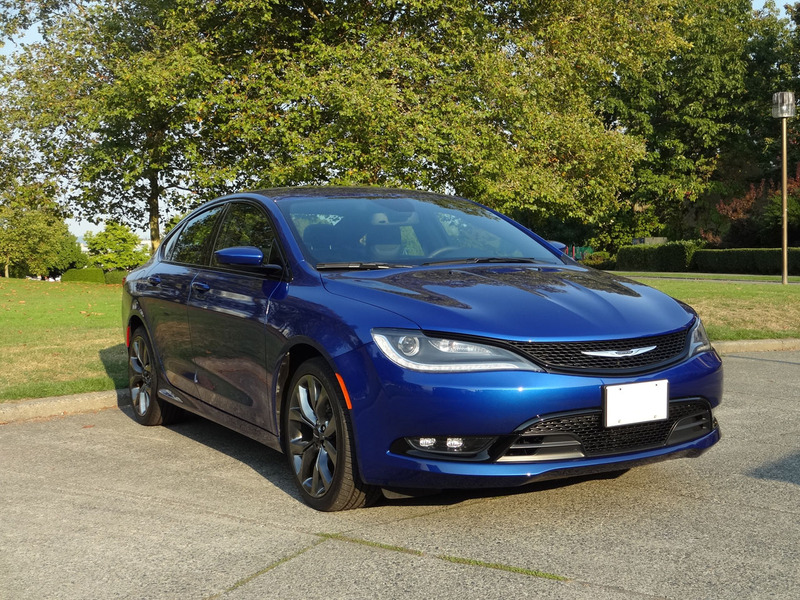 Certainly the 200 has the look down pat, with a nicely proportioned hood, muscular front fenders, gracefully curving roofline, and almost no discernible trunk line at all. 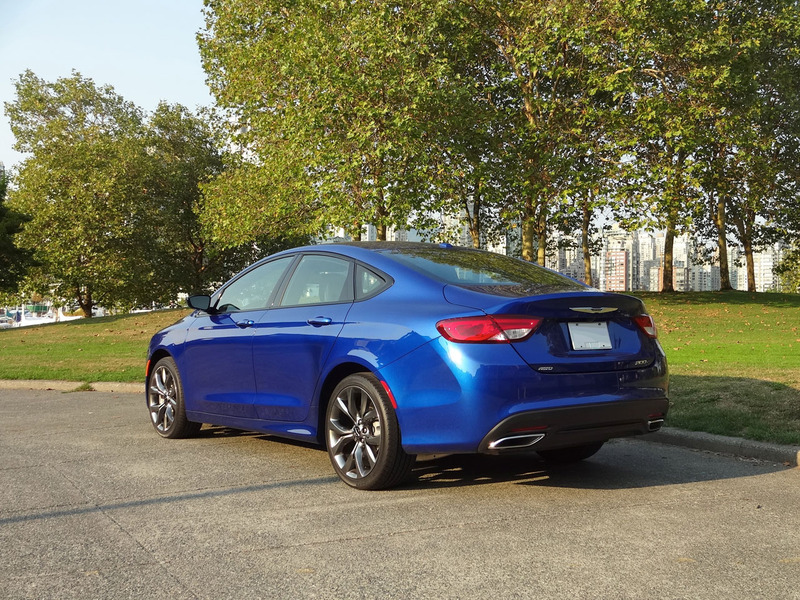 Add to this my tester’s bold rear diffuser panel, oversize twin exhausts, 19-inch Hyper Black aluminum wheels, and Vivid Blue Pearl paint, and it adds up to a car with real street presence, a perfect blend of aggressive and sophisticated. 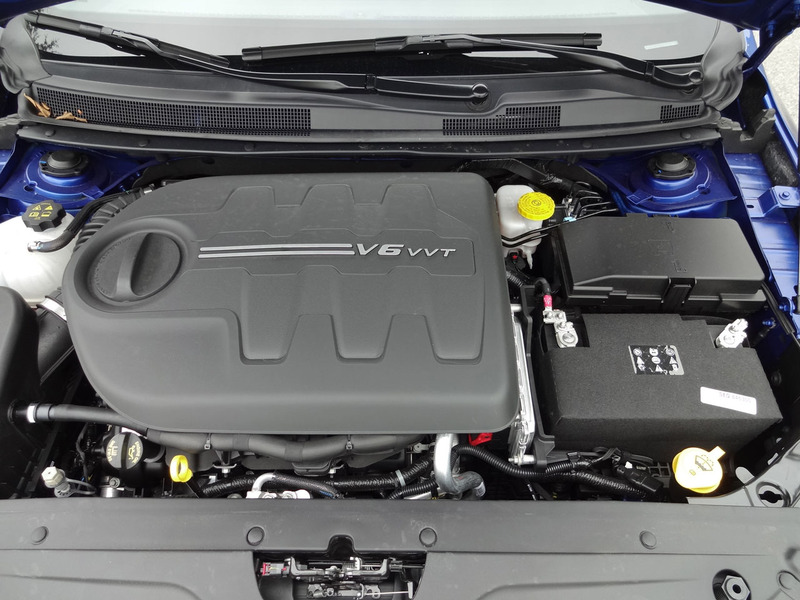 Under the hood, where lower-trim versions of the 200 get a 184-horsepower 2.4-litre four-cylinder engine driving the front wheels, AWD models get a soulful-sounding 3.6-litre V6 that cranks out 295 horsepower and 262 lb-ft of torque. 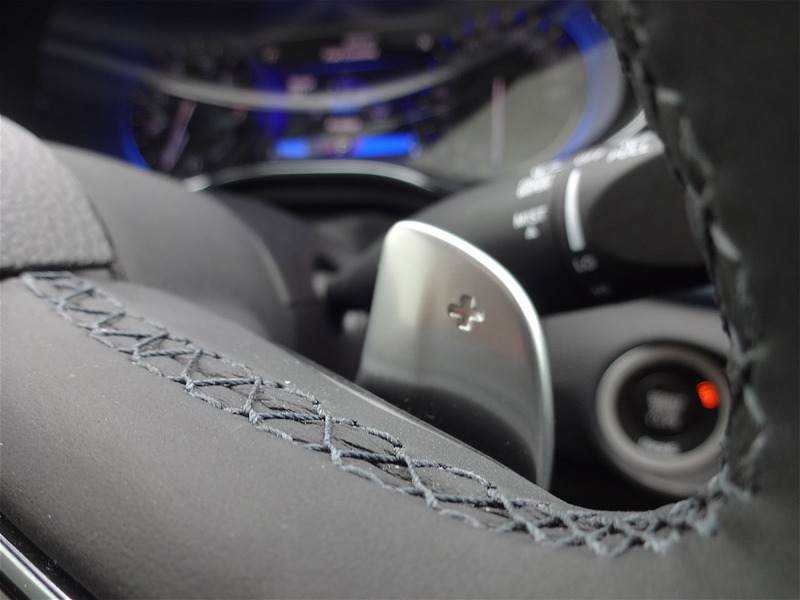 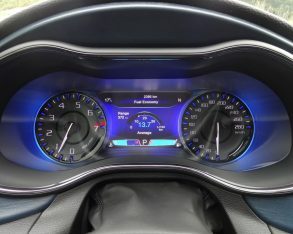 In either case the engine is hooked up to a nine-speed transmission, with the 200S and 200S AWD getting paddle shifters (the model lineup includes the LX, Limited, S and C, with the option of AWD for the S and C). 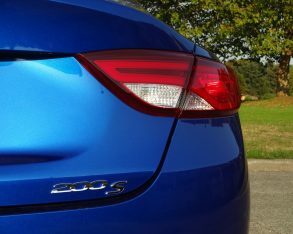 200S AWD gets a sport-tuned suspension to match its big motor, so in addition to sprinting from 0-100 km/h in an impressively quick 6.5 seconds it also carves up the corners with aplomb, offering quick reflexes and good grip – although I did notice it could feel a little unsettled during abrupt transitions. 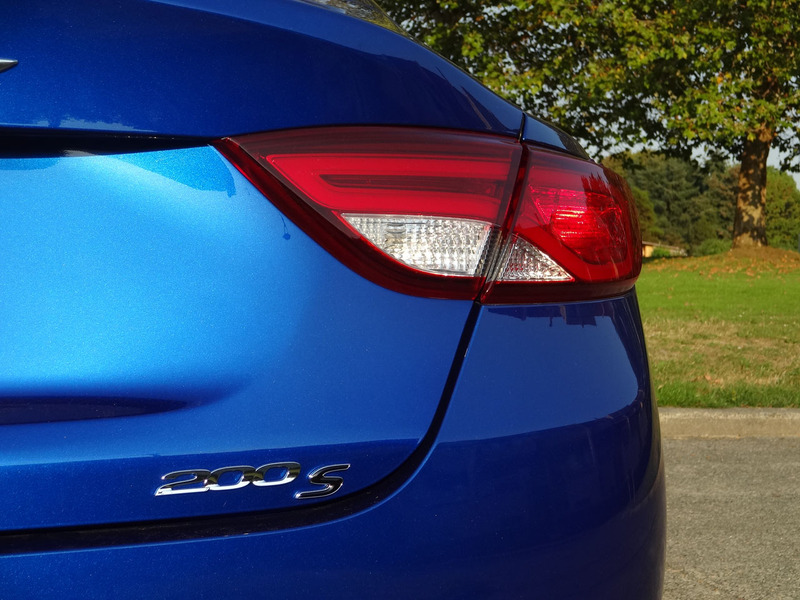 Overall, the 200S AWD’s willing demeanour makes it a distinctly more engaging car to drive than most in the segment. 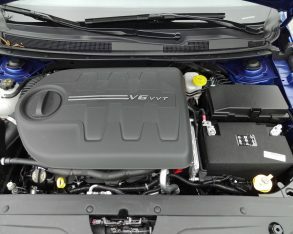 Fuel economy is rated at 12.8 / 8.1 L/100km (city/highway) and my test car averaged about 13.8 L/100km in mostly city driving. 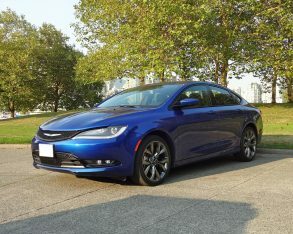 For those wanting better economy, the four-cylinder is rated at 10.2 / 6.4 L/100km. 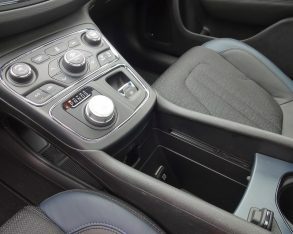 switch panel surrounds. 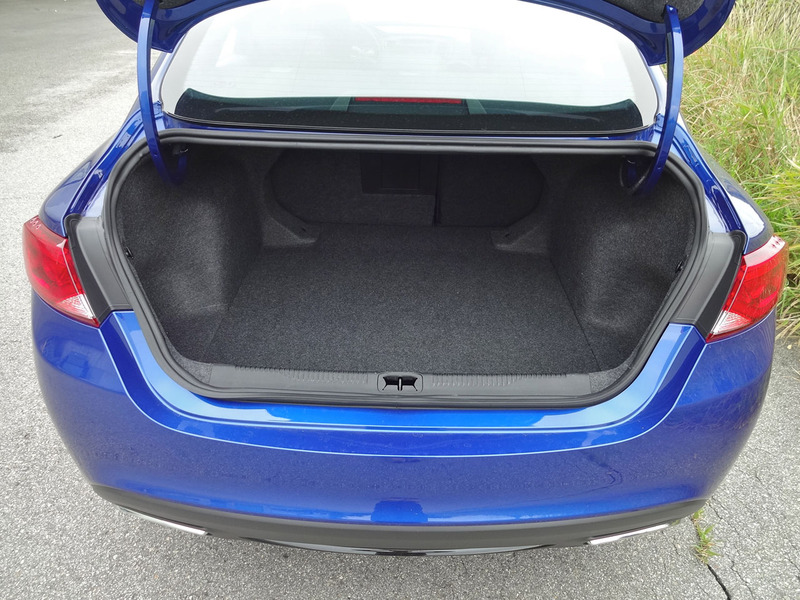 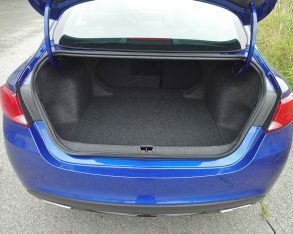 You also pay a real cost for those swoopy four-door coupe looks, with noticeably less rear seat space than in other mid-size sedans (the trunk on the other hand is well sized at 453 litres and benefits from 60/40 split-folding rear seatbacks). 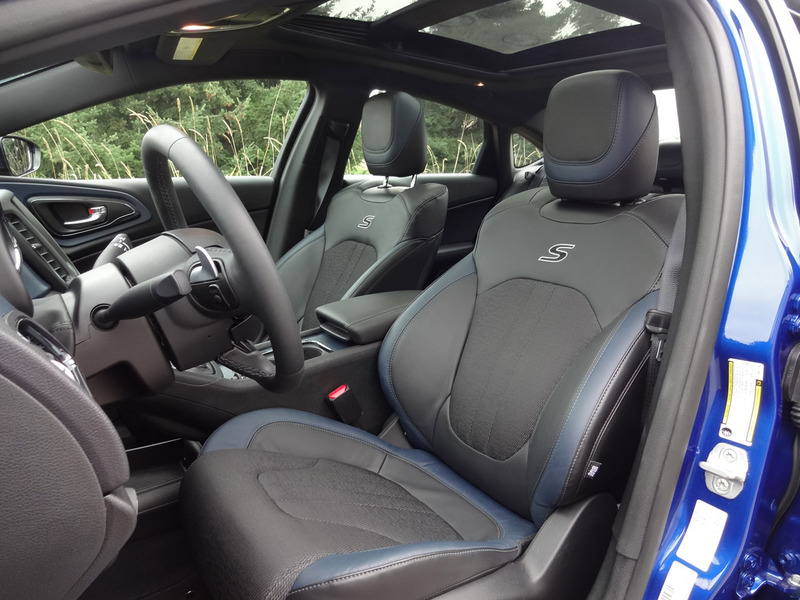 At five-foot-eleven I found my hair brushing the roof in the back, and my six-foot-two teenage son could only fit by slouching, which landed his knees into the front seatback. 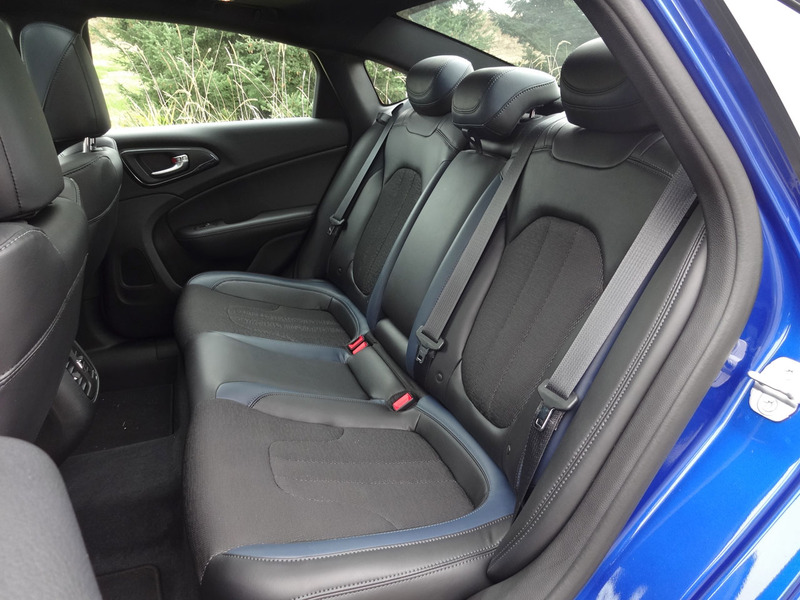 Even if you clear the curving rear roofline, you’re sure to notice the rather closed-in feel of the rear seat, with the double C-pillar blocking your view both to the side and upward. 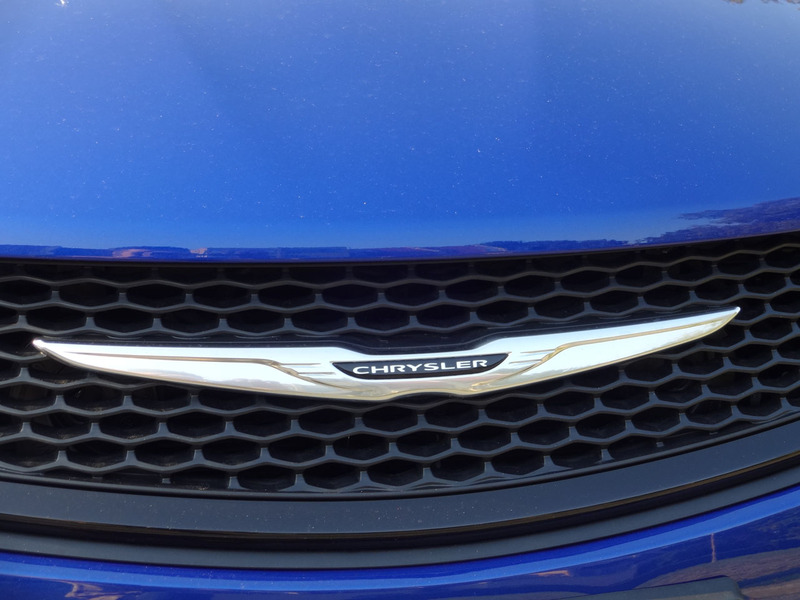 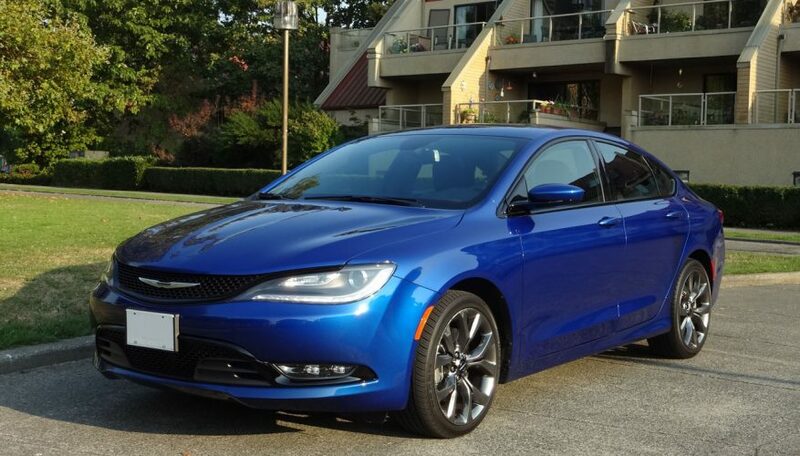 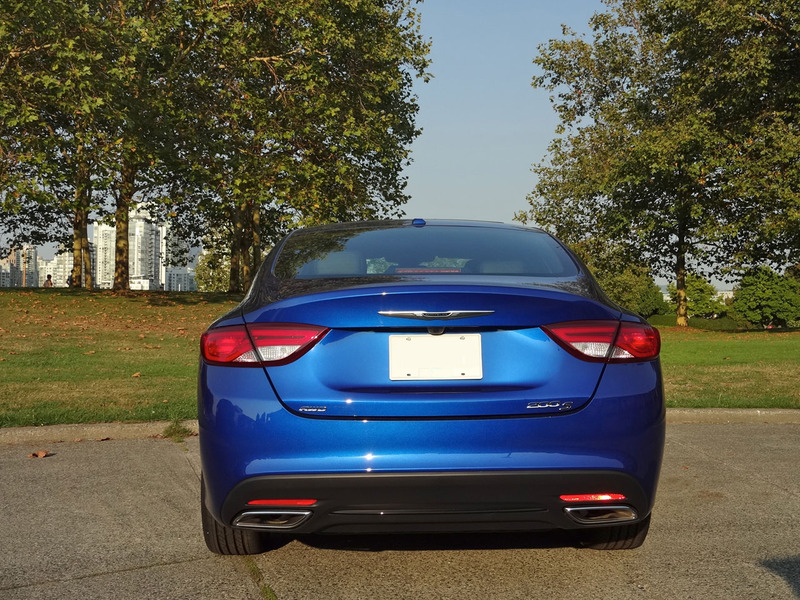 On the other hand, if you’re trying to escape the paparazzi, a Chrysler 200 might be perfect. 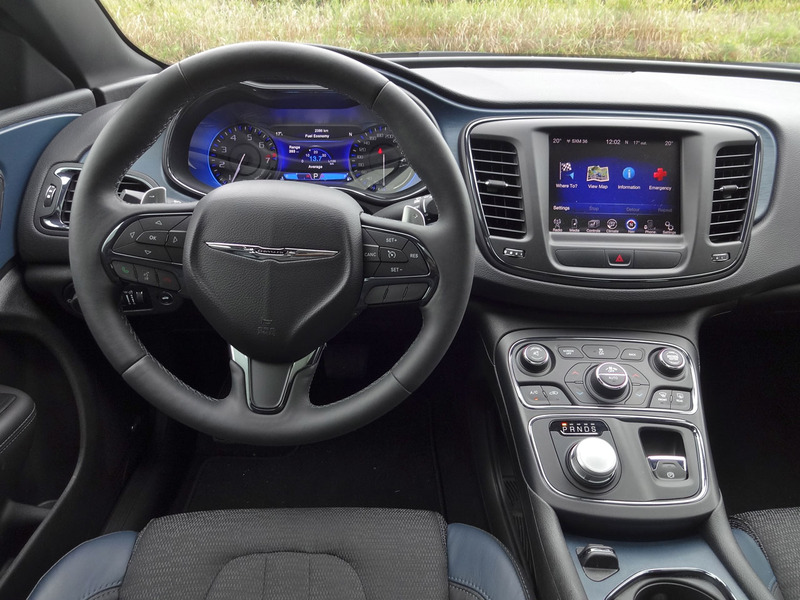 telescoping steering helping to ensure you can find just the right driving position. 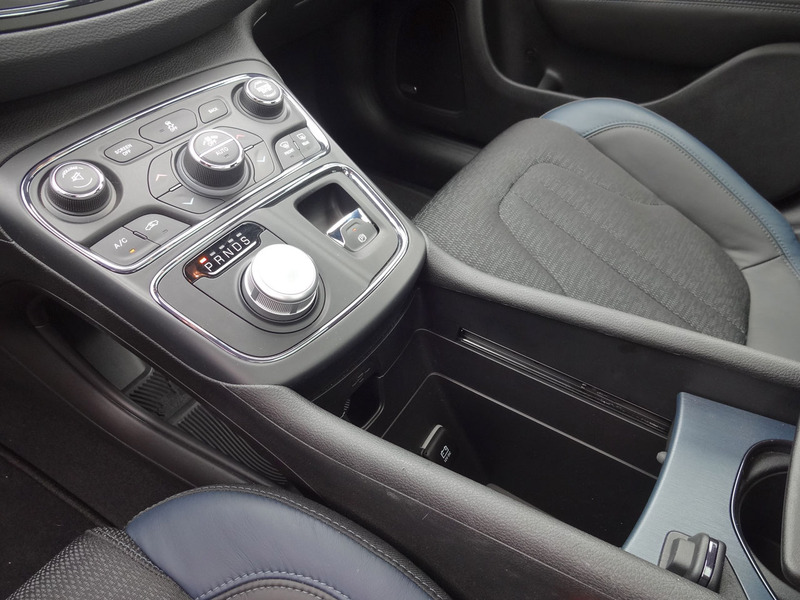 The split-level centre console has an open-sided lower shelf for quick and easy storage of small items, and integrates the cupholders into a nifty sliding lid for a hidden bin with the USB port, auxiliary jack and 12-volt outlet inside, and a wiring port to the lower shelf. The only challenge that might arise would be trying to access this bin when the cupholders are in use. 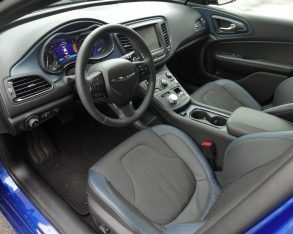 as they share real estate behind the spokes with the radio tuning and volume controls. 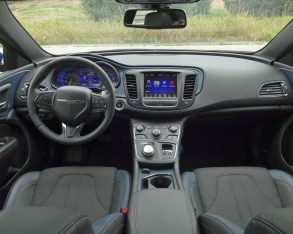 Trying to shift gears mid-corner invariably resulted in my changing stations or cranking up the volume. 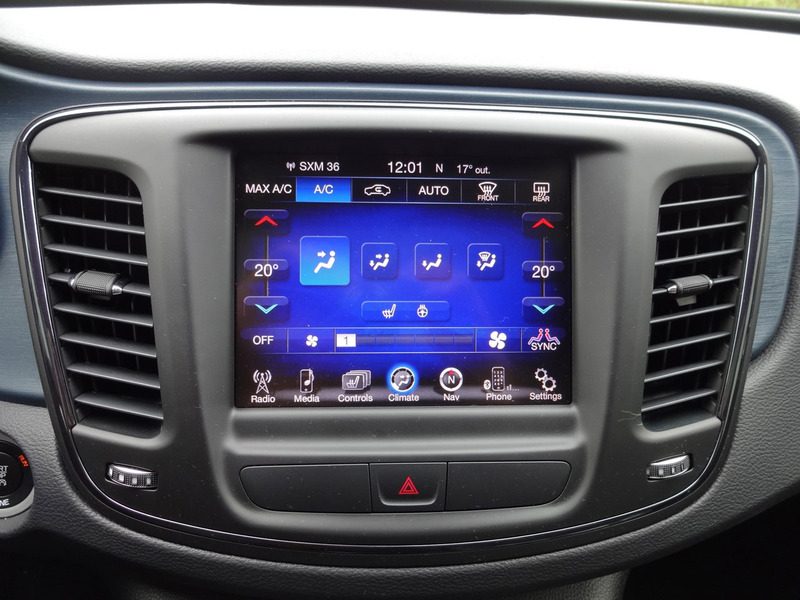 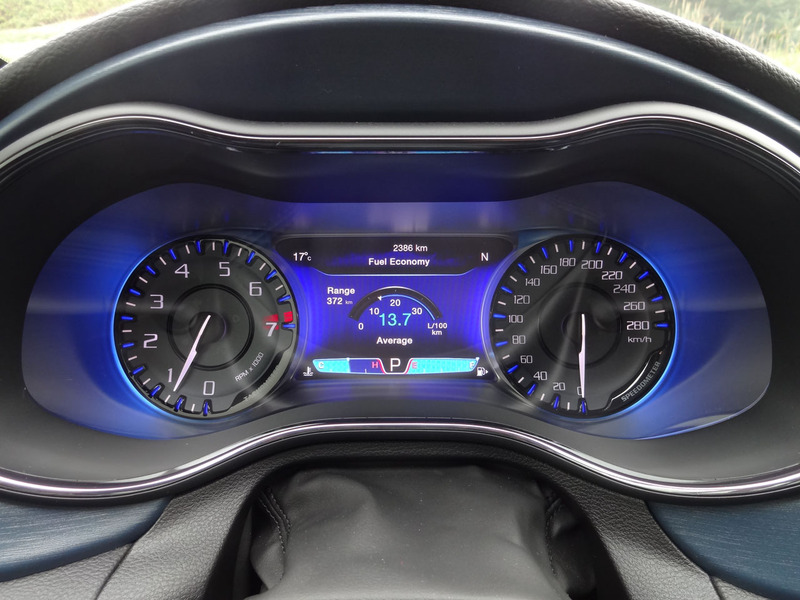 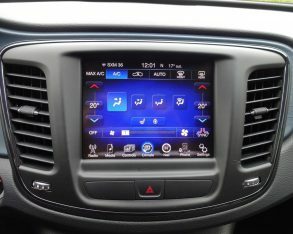 While a 5.0-inch infotainment display is standard, Limited and higher trims are available with a big 8.4-inch touchscreen (included on the 200C) running Chrysler’s UConnect interface, which is slick and intuitive – a good thing given that various climate and comfort controls (such as the seat heaters) can only be accessed through the infotainment interface. 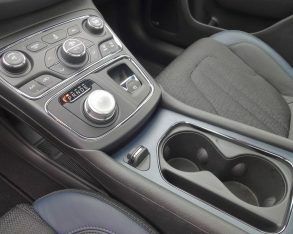 Personally I’d like to see a few more well organized switches for direct access to such functions, but then I’ve always been a little old school. 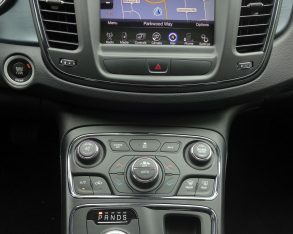 connectivity, an auxiliary input and … no CD player. 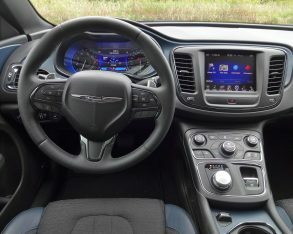 That’s right, the CD player, which killed the cassette player soon after it was introduced in 1982, has itself finally been killed off by Chrysler some 33 years later thanks to the ubiquitous usefulness of digital media. 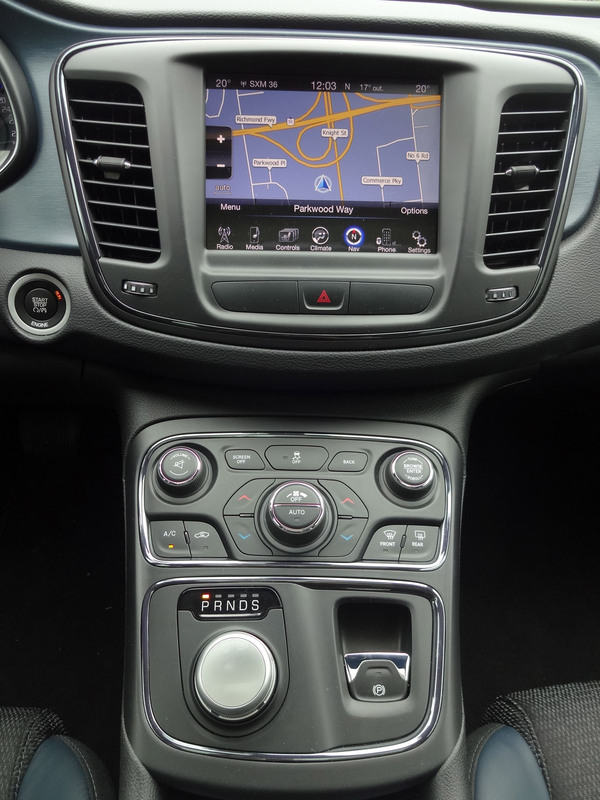 I didn’t miss having a CD player in the 200, and I doubt many owners will either (and there’s always the auxiliary or USB inputs for a remote player if you really must play CDs). 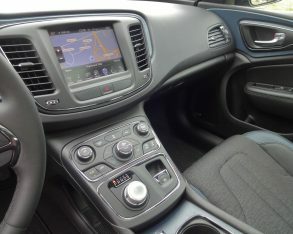 At $24,190 (destination in and not including discounts) the base 200 LX comes with a solid lineup of standard equipment, including such things as air conditioning, power windows, power locks, keyless entry, pushbutton start, cruise control, automatic headlights, ambient interior lighting, an electrically-actuated parking brake, tilt and telescopic steering, a tire pressure monitor, and 17-inch steel wheels with covers. 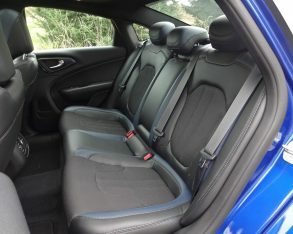 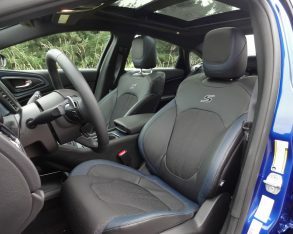 trim levels, which top out with the 200C AWD at a starting price of $34,190 (destination in), add equipment including dual-zone automatic climate control, heated and powered front seats, leather upholstery, a leather-wrapped steering wheel, upgraded audio and infotainment systems, Bluetooth streaming audio, a rearview camera, a universal garage door opener, fog lights, aluminum alloy wheels, dual exhaust and more. 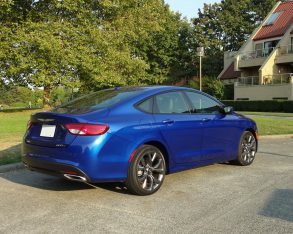 The Chrysler 200 also has a comprehensive assortment of available optional equipment including a sunroof, navigation system, ventilated front seats, a heated steering wheel, real wood trim, blind spot monitoring with cross-traffic detection, adaptive cruise control, forward collision warning, lane departure warning with lane-keeping assist, and automated parallel and perpendicular parking. 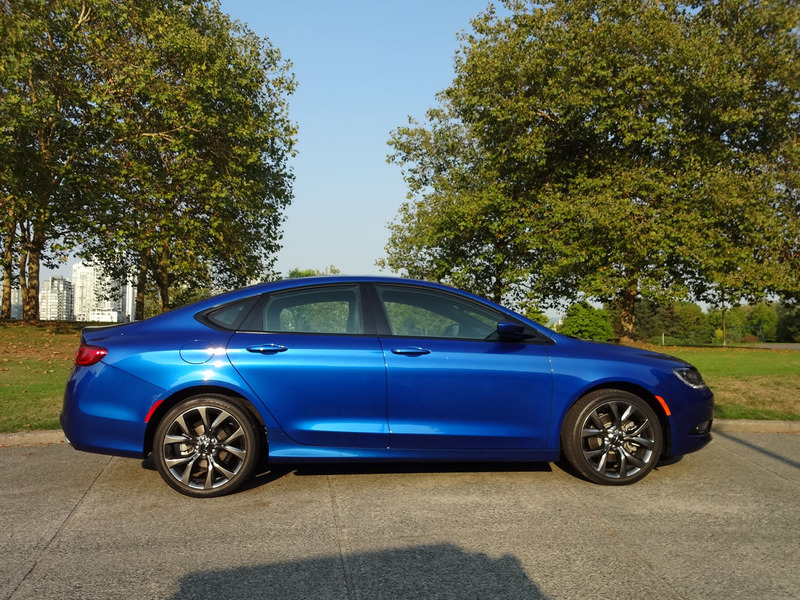 These available driver assist technologies, combined with good crash ratings across the board, qualify the 200 for an IIHS Top Safety Pick+ award. 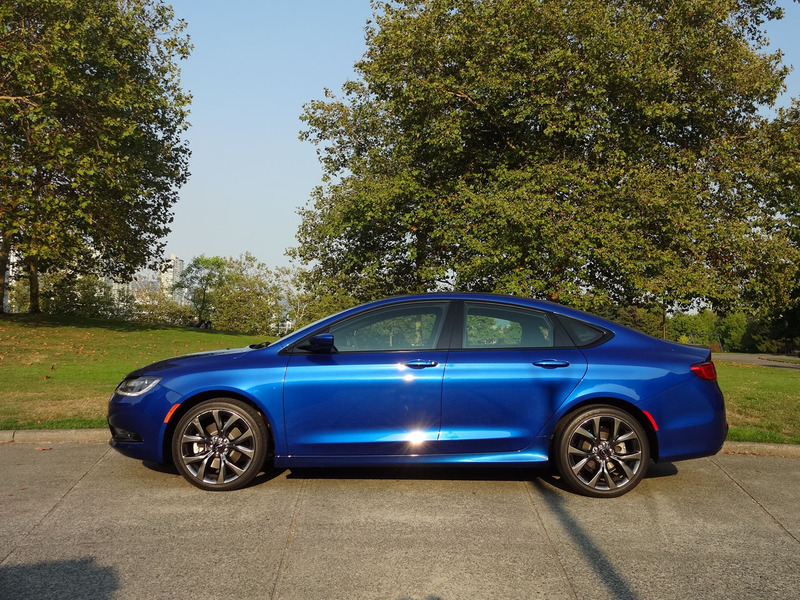 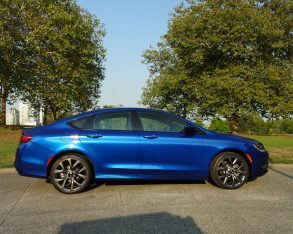 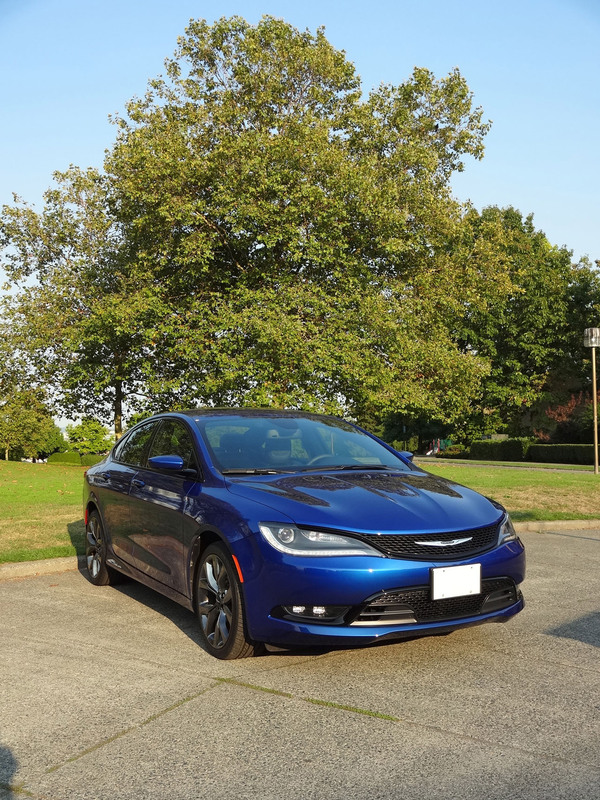 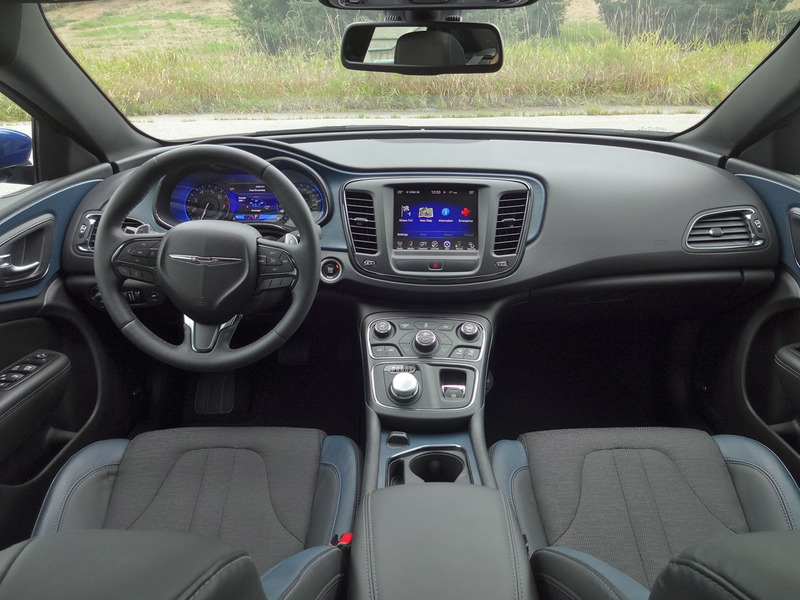 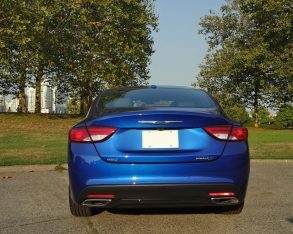 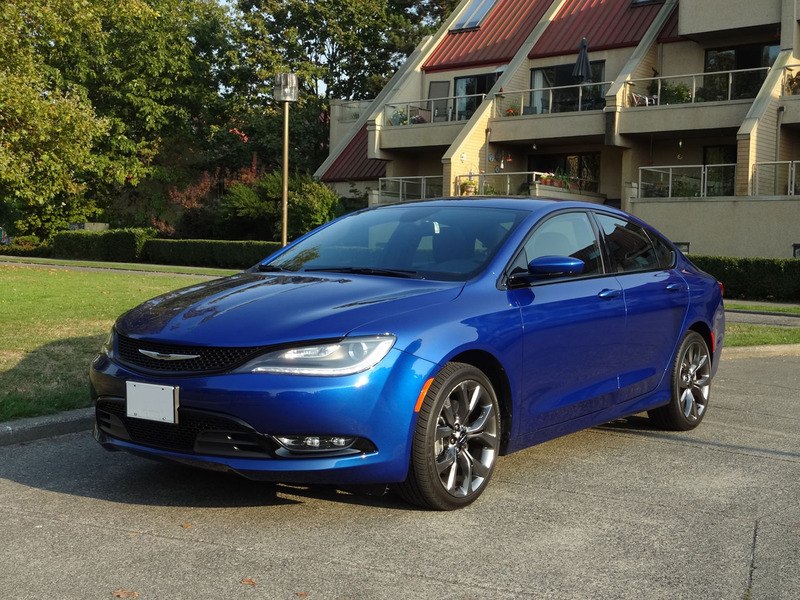 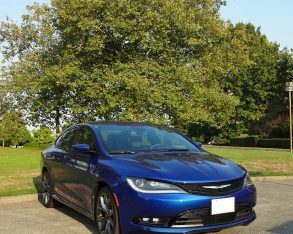 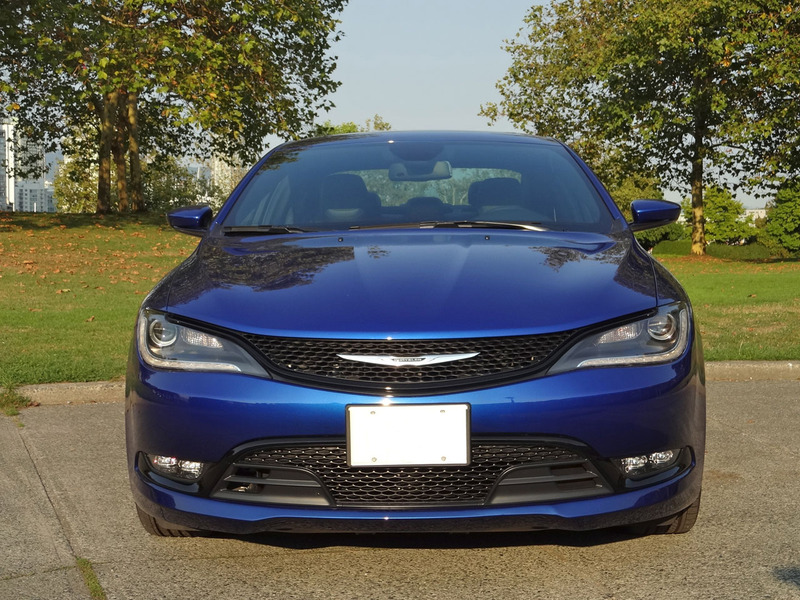 With its stylish looks, willing drivetrain and excellent chassis dynamics the new Chrysler 200 is a family sedan with distinct character in a segment loaded with capable but sometimes indistinguishable offerings. 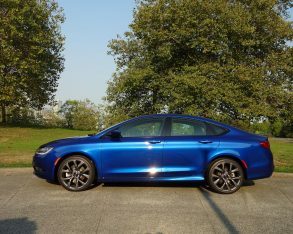 While the Ford Fusion provides attention-getting style and features and the Mazda6 offers a sporty driving experience, buyers who are willing to trade a little rear-seat functionality for a more engaging driving experience would do well to give the Chrysler 200 a close look.